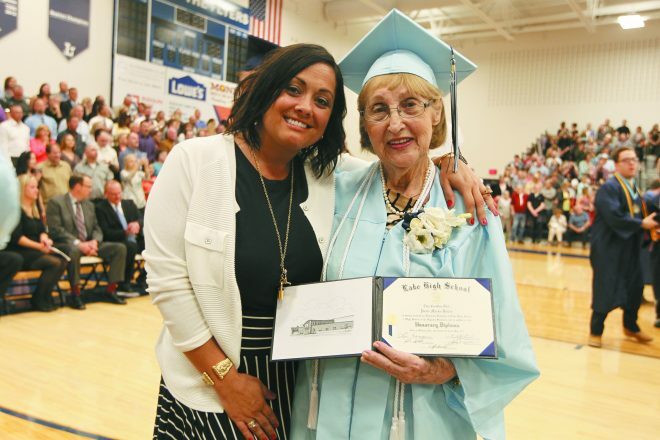 Eighth-grade English teacher Nikki Bazzoli stands with Paula Marks-Bolton who received her honorary diploma from Lake High School in Millbury, Ohio. 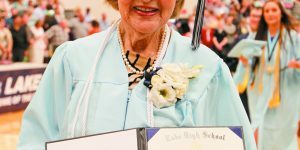 Though she wore the same cap and gown, one graduate at Lake High School in Millbury, Ohio, this year stood out. 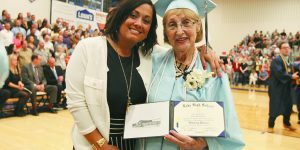 Holocaust survivor Paula Marks-Bolton, 90, of West Bloomfield earned an honorary diploma in May, walking alongside a group of seniors with whom she has shared a close bond for five years. Marks-Bolton was born in Ozarkow, Poland, and was a prisoner in Auschwitz, Ravensbruck and other concentration camps as a teenager after the Nazis invaded Poland when she was 13. 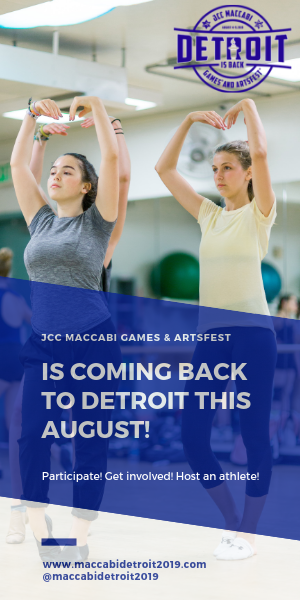 She has been speaking publicly about her experiences for 26 years, frequently at the Holocaust Memorial Center in Farmington Hills. She first met a group of students from Lake Middle School in the Toledo area in 2013. Marks-Bolton said she felt a bond with the students from the beginning. 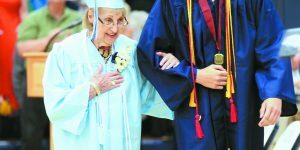 The students have kept in touch with her, writing her letters and inviting her back to northwest Ohio on several occasions. She spoke at Lake High School in 2015. Last year, recovery from a knee replacement surgery kept her from her annual visit to the school. “When the students heard about my operation, they sent me cards and care packages. It was so beautiful,” she said. This year, Marks-Bolton is back on her feet and looked forward to her visit to Lake High School. She had no idea the surprise that was in store for her. Marks-Bolton has been visiting with the Lake High School seniors since they were in middle school, so they know her well. Marks-Bolton lost more than 60 members of her family during the Holocaust, and her message emphasizes love and acceptance. She implores those she meets to make a difference in the world. Marks-Bolton said she was as taken with the students as they were with her. Eye said Marks-Bolton had talked about seeing her two daughters earn their high school and college degrees, but never received a diploma herself. “The Nazis came through our village when I was 13 and burned all our books. I was never able to return to school,” Marks-Bolton said. Soon after, she was separated from her parents and taken to the Ozarkow ghetto where there were hundreds of parentless children, all praying for their mothers and fathers, according to the oral history she gave to the Holocaust Memorial Center. She remained in that ghetto about three months until she was taken to the Lodz ghetto with only the clothes on her back and a photograph of her mother. She worked in the ghetto making braids from straw that they lined in barrels for the Germans and making trench coats in a factory. Eventually, the Germans came and packed the Jews into cattle train cars on which they traveled four days and nights to Auschwitz. Meeting them at the camp was Dr. Josef Mengele, himself, Marks-Bolton recalls, wearing white and only saying two words, either “Left” or “Right.” Three days later, she was taken by cattle car to Ravensbruck, where she spent two weeks. Then it was on to Muhlhausen, which was a newer facility in Thüringen, Germany. There, she worked in an ammunition factory along with 500 other girls. She was there eight months before German guards rounded up the women and marched them, mostly shoeless, for two days to Bergen-Belsen, “a crazy house, where there were no toilets and mounds of dead bodies,” she said. The camp was liberated by the British in 1945. “After the war, I met my first husband at a displaced persons camp,” said Marks-Bolton, who also studied with ORT’s School of Design and eventually became a dressmaker on Detroit’s Avenue of Fashion. She and her husband were brought to the U.S. in 1949 by her relatives. “My husband and I studied English together so we could come to America, but we were never able to earn our diplomas,” said Marks-Bolton. So the students decided to make it happen. “It’s really special to have her walk with our class,” senior Kayla Saffran of Northwood, Ohio, said. She would have graduated in 1944, so Marks-Bolton’s special tassel includes a charm for that year. “What it means to me after all these years to be graduating in the United States of America, in the beautiful country which I love so much, it’s the greatest honor,” she said. By : Alexandra Mester Toledo Blade, Reprinted with permission from the Toledo Blade. 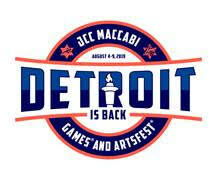 Managing Editor Jackie Headapohl added to this report.